The educational philosophy of Orono High School provides the foundation for the program, the organizational structure, and the existence of all extra-curricular activities for students. The athletic department offers a variety of activities that may help students realize their maximum potential for physical, social and emotional growth. It is the goal of this department to promote success and growth while always respecting others. We believe that interscholastic athletic competition should be an integral part of the total school program and serve as a reflection of the needs of students and the school community. We believe participants can be taught to win in a gracious manner and accept defeat in the same fashion. 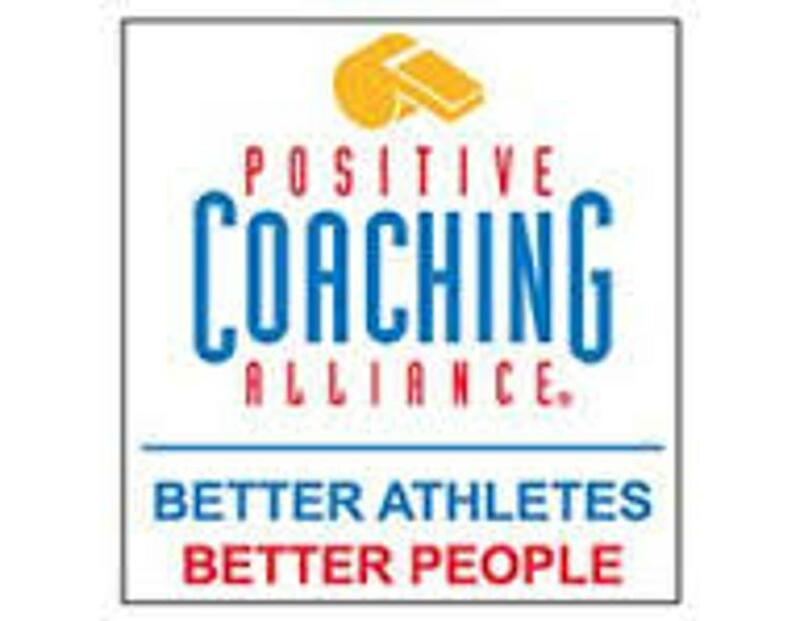 We believe participants can find purpose in their school work and carry that purpose forward in their lives as a result of a sound athletic and activity programs in the schools. We believe athletic competition provides real value for the student body and school community. We believe a sound athletic department based on a sound philosophy can improve school and community morale and become a positive outlet for energy and enthusiasm. We believe the welfare of the individual is always the primary concern. The competition exists for the student-athlete. The student-athlete does not exist for the game. We believe the community should realize that control of, and responsibility for high school athletics rests entirely with the administration of Orono High School and the Orono School District. In 1994, the Minnesota State High School League (MSHSL) became the first state to sanction girls’ high school hockey. The MSHSL hosted their first every Girls’ State High School Hockey Tournament with 454 participants from 35 different schools. In 1996, Kevin Dulin and Keith Radloff led the proposal and justification for a girls’ high school hockey program in our community. At that time, both Dulin and Radloff had daughters in the high school age group who had played on the initial youth teams formed in the community and together they provided the leadership to grow the game providing high school female athletes a winter sports opportunity in the game we all love. The school districts’ approved the co-op team with the Mound-Westonka High School during the 1996-1997 season and the Orono Mound-Westonka (OMW) team was formed. Pat Furlong from Mound Westonka and Keith Radloff from Orono were the first coaches for this team. The OMW team practiced and played games at the Harold J. Pond Sports Center in Mound until construction on the Orono Ice Arena was completed in 1997, after that practices and games were alternated between both sites. During the inaugural 1996-1997 season, there was only one class for girls’ hockey in the Minnesota State High School League. OMW was placed in a section with Blaine, North Wright County and a few other teams. The OMW team was the Metro Alliance Conference Champions during the first two years out of the three years they were in existence. As excitement grew for girls’ hockey programs and opportunities for girls’ athletic programs multiplied, the co-op with Mound-Westonka split in the 2000-2001 season to offer more female athletes in our community opportunities to play a winter team sport. 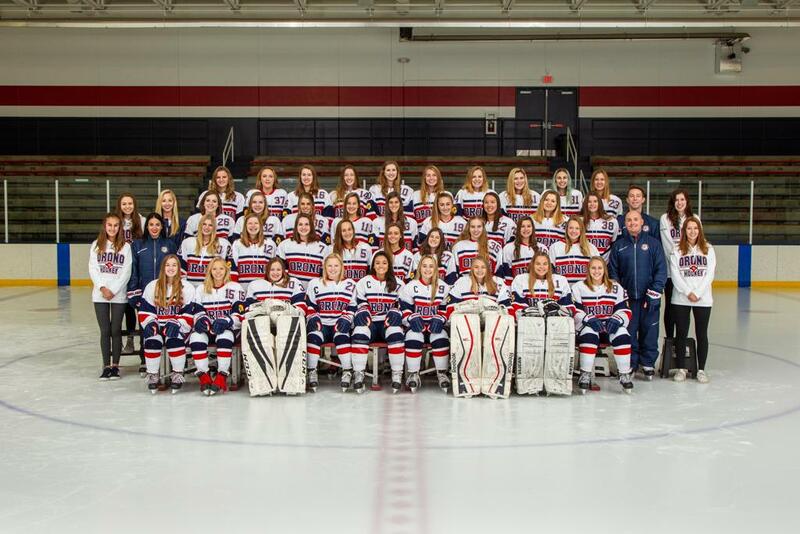 Coach Radloff was recruited to the Girls High School program for the Blake School and Coach Furlong led the now separate Orono Girls High School Hockey team (OGH). During the years following the split of Orono Mound-Westonka Girls Hockey, there were several different high school coaches at Orono, including, Craig Sarner, Ashley Albrecht, and Kevin Armstrong. In 2011 Orono High School welcomed Coach Radloff back into their program as head coach of OGH. From 2011-2017 Orono Girls Hockey was led by Keith Radloff and Steve Persian. In 2018-2019 Coach Persian and Coach Radloff led OGH further than ever before to the Section Championship game. OGH took 2nd place in sections losing the Section 5A Championship game in a well fought game vs Breck. Breck became the eventual Class A Minnesota State Championship team. 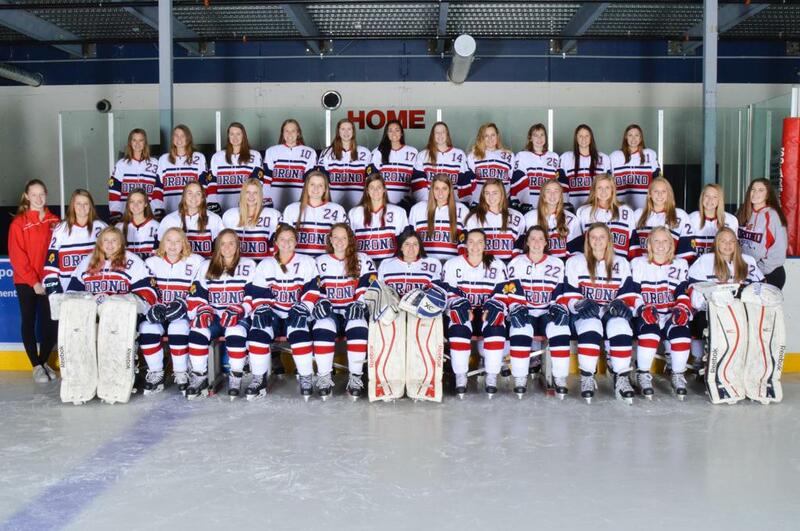 Orono Girls High School Hockey enters the 2018-2019 season in the Class 5A Wright County Conference which includes Holy Family, Hutchinson, Litchfield/Dassel/Cokato, New Prague, Mound-Westonka/Watertown-Mayer/Southwest Christian, Delano/Rockford and new to the conference this year we welcome Waconia. The OGH program believes in its strength by unity, leadership and character. We are proud of the educational philosophy provided by Orono High School, which is the foundation for the program, the organizational structure, and the existence of all extra-curricular activities for our students. Girls hockey helps students realize their maximum potential for physical, social and emotional growth. It is a goal of the Orono High School Athletic department to promote success and growth while always respecting others. In the 2018-2019 season OGH welcomed Coach Sean Fish and his staff, Gregg Malmgren and Ashley Chritsy, to the Orono Girls Hockey community. Coach Fish came to us with a strong hockey background and enthusiasm to bring Orono Girls Hockey to the next level of play. We look foward to a second season of coaching with Coach Fish and the opportunity to learn new skills. We hope to see all our fans at our games!